We're located 90 miles North of Marquette in the heart of Houghton/Hancock ¼ mile from the lift bridge near Ramada. Stop by and check out our deals! 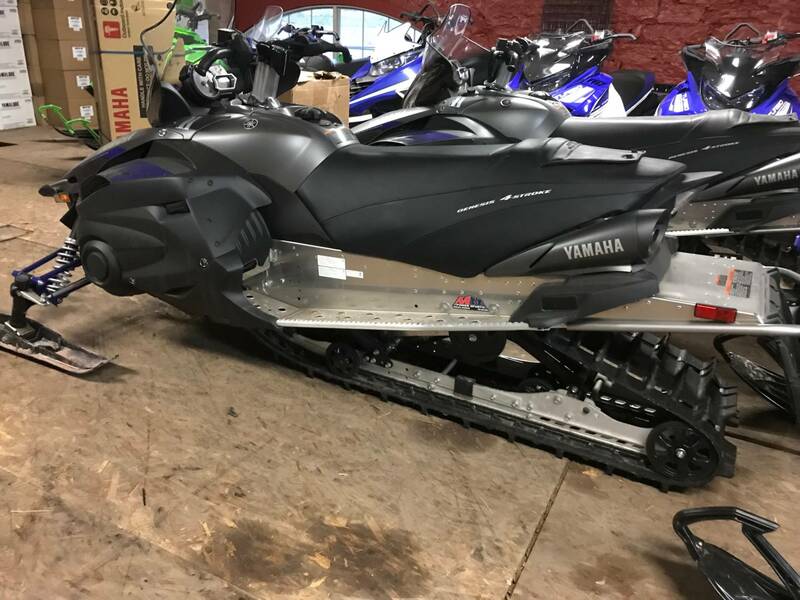 We sell Arctic Cat, Suzuki, Bad Boy Off-Road, Kymco, Yamaha, Crest and Sweetwater pontoon products. Come where service matters! Our shop can meet all your maintenance needs and customized whatever you own from mild to wild. Please visit our website at www.mmpowersports.com or give us a call! We do take trades depending on what you have, thanks for looking! Yamaha was the first and still the only manufacturer to offer Electric Power Steering to the snowmobile industry. The velocity sensing system delivers maximum assistance at slow speeds to nearly zero assistance and high speeds. Aside from dramatically reducing steering effort, the system reduces negative feedback and delivers precise handling characteristics. 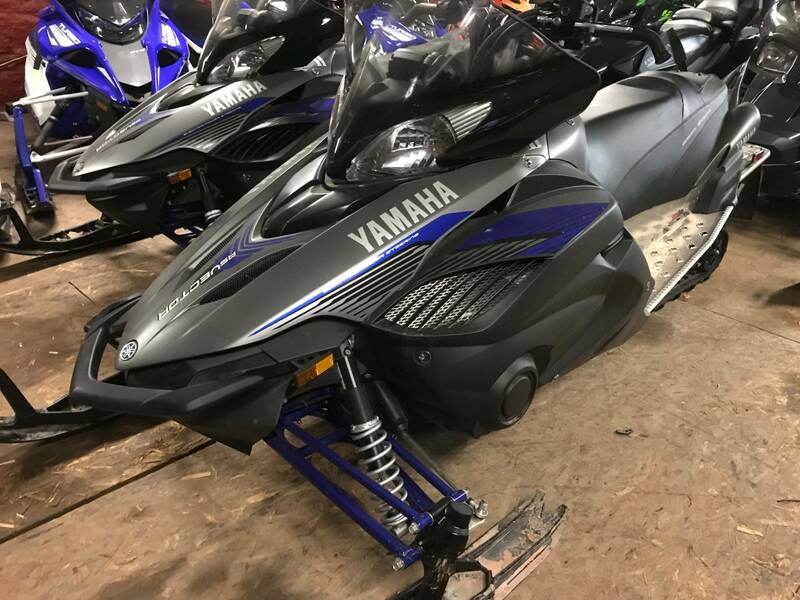 Unlike competitive four-stroke powered snowmobile designs, Yamaha utilizes an engine braking reduction system for a “free-wheel” feeling on deceleration. 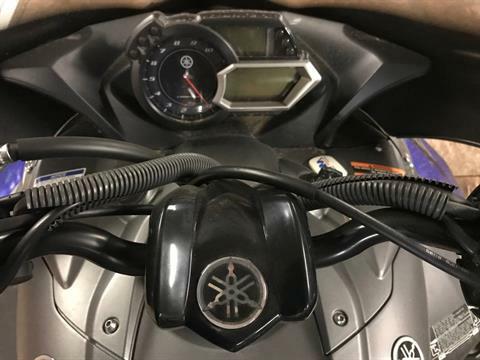 The system allows a small amount of air to flow through the intake system upon throttle release, thereby dramatically reducing the engine braking effect typically association with a four-stroke engine. Designed to be the premiere trail cruising powerplant, the three-cylinder engine features an advanced Yamaha fuel-injection system for incredibly accurate fuel metering for spot on performance and fuel sipping economy. A broad, flat power-band delivers instant thrust from nearly any speed, and hundreds of thousands of miles by satisfied owners is testament to its durability. High Pressure Gas (HPG) shocks with strong 40mm bodies are calibrated to deliver consistent performance and comfort with excellent fade resistance. Plus the shocks are rebuildable, ensuring you season after season of consistent performance with proper maintenance. Like all Yamaha snowmobiles, attention to detail is found everywhere including our integrated seat storage trunk. A secure and easy to use turn clasp unlocks spacious in-seat storage large enough to hold water, goggles, gloves or other riding essentials. Representing the latest in track technology, the new Camoplast 1.75-inch Backcountry blends the lines between on-trail performance and off-trail traction and flotation. The unique lug pattern and mid-sized lug-height delivers the perfect balance of deep snow traction and on-trail control. The new FOX FLOAT 3 XV shock introduces new air-spring technology with a secondary Xtra Volume chamber designed specifically to eliminate unwanted harsh bottoming. 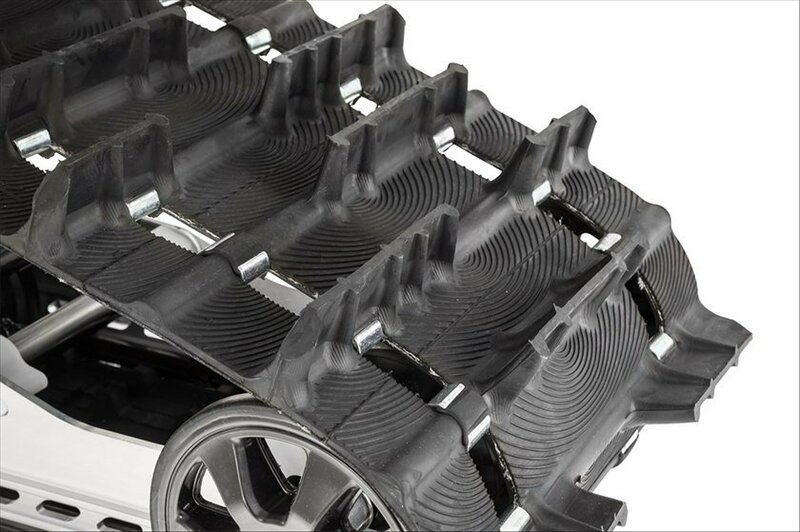 The added volume of the twin chamber design delivers exceptional ride and handling over rough terrain. Both the primary and secondary XV air-spring chambers are infinitely adjustable for both rider preference and conditions. 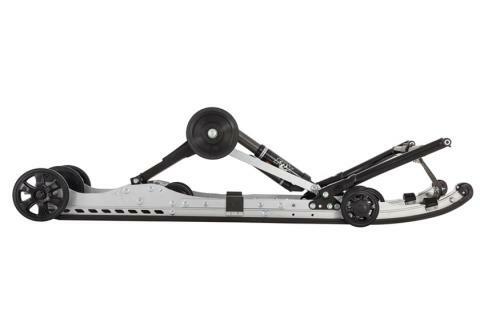 The all-new SingleShot rear suspension features a revised drop-link rear suspension linkage, new geometry, and a significant weight loss over previous designs. 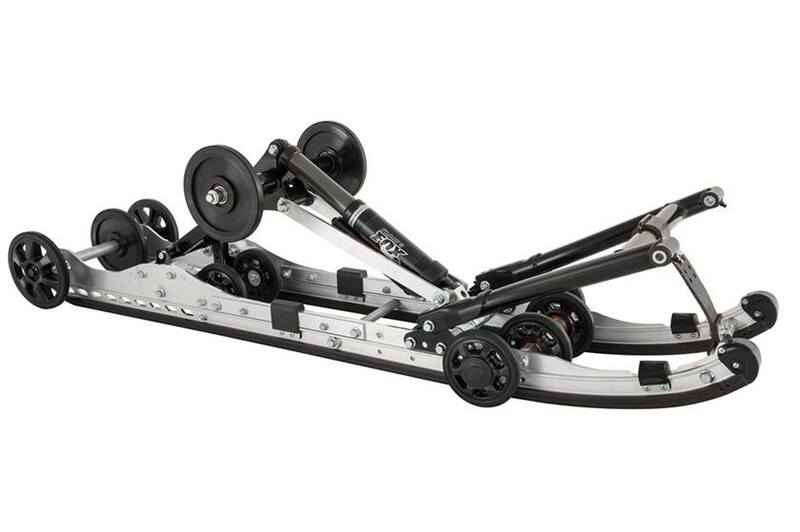 The dual arm, fully-coupled suspension features inside the rail coupling blocks, an improved track tensioning system, and a reduction of 9-pounds than the previous 136-inch suspension…all while delivering exceptional ride quality and control in rough terrain. Our new electronically controlled throttle system delivers a new level of performance, control and efficiency. The fully electronic system senses throttle input and electronically controls the throttle valve resulting in smooth, predictable performance specifically tuned for each model. The system serves up three user-selectable performance modes; S (Sport) Mode for maximum performance; T (Touring) Mode for smooth low and mid-range response and improved fuel efficiency; and E (Entry) Mode for predictable acceleration, reduced top speed and optimum fuel economy. Seamless and easy to use electric start delivers instant and hassle free starts, no matter the weather, eliminating the need for an “old-school” pull rope. You’ll also enjoy the convenience of an effective and simple to use reverse system. Simply pull out the right-hand side lever and slide it over and you can quickly and easily back off a trailer, out of a tight spot, or help you turn around on the trail without ever leaving the seat. The sophisticated and precise design of the front suspension incorporates a motion geometry specifically calibrated to eliminate unwanted inside ski lift while cornering. The dual A-arm system is both precise and remarkably predictable for confidence inspiring performance in nearly any terrain. 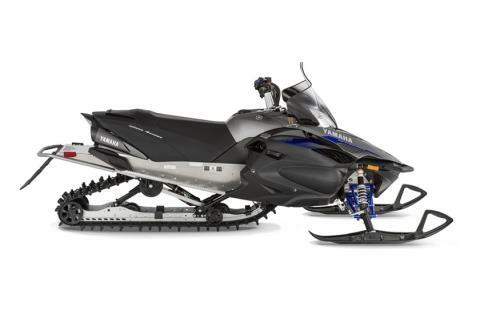 Developed exclusively by Yamaha engineers, the Tuner Ski incorporates a dual keel design that can be calibrated through various runners and carbide lengths for rider preference. The Tuner Ski dramatically reduces darting and steering effort while retaining predictable and sharp handling characteristics. No other touch point is more important to a rider than the handlebars. Yamaha bars are flat and wide, engineered for comfort, control, and natural ergonomics. Integrated hooked ends add additional control while cornering, and feature heated grips across that span the entire length. Featuring Yamaha drive and driven clutching, the YVXC system delivers smooth engagement, instant acceleration, fast reacting backshift, and cool operating temperatures for a long belt life. 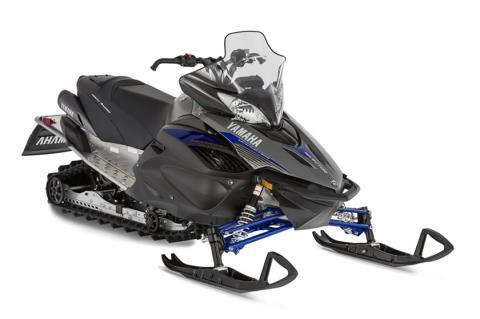 The YVXC clutch system delivers Yamaha’s hallmark smooth power delivery, responsive engine feel and unmatched quality. 146 x 15 x 1.75 in.